13.9 percent of Rhode Islanders live in poverty, and nearly 30 percent of Providence residents live below the poverty line (US Census Bureau). People affected by poverty can be more at risk for obesity and diet-related disease. To help address this, we provide nutrition incentives in the form of Bonus Bucks to low-income families at farmers markets across the state — helping farmers sell more local foods and making fresh, nutritious options more accessible. 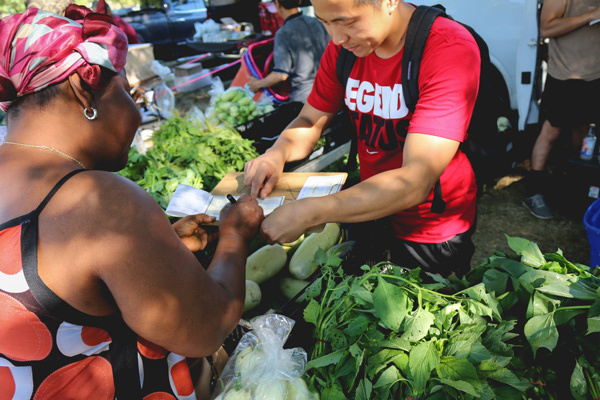 Bonus Bucks increase the spending power of shoppers using Supplemental Nutrition Assistance Program (SNAP) benefits at farmers markets by providing a 100% match on grocery purchases to spend on fresh fruits and vegetables. That's double the SNAP dollars to spend at the farmers market! Farm Fresh RI distributes Bonus Bucks at all farmers markets we operate — and funds Bonus Bucks at a large number of other farmers markets across Rhode Island. Bonus Bucks nutrition incentives are distributed in a variety of ways at participating farmers markets. Eligible shoppers can earn extra Bonus Bucks by enrolling in Healthy Foods, Healthy Families. Other seasonal, market-specific bonuses may be offered at your nearest farmers market. 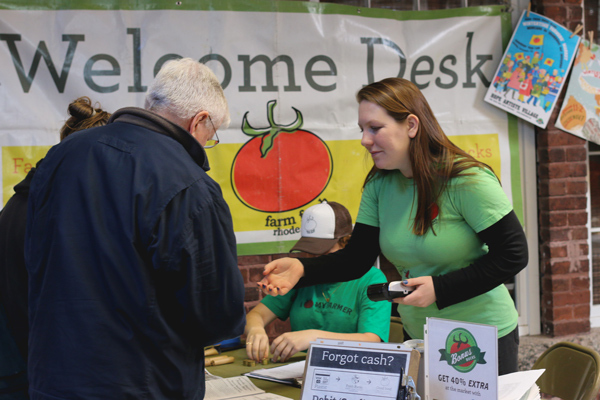 Check in at the farmers market welcome table to get the latest details. 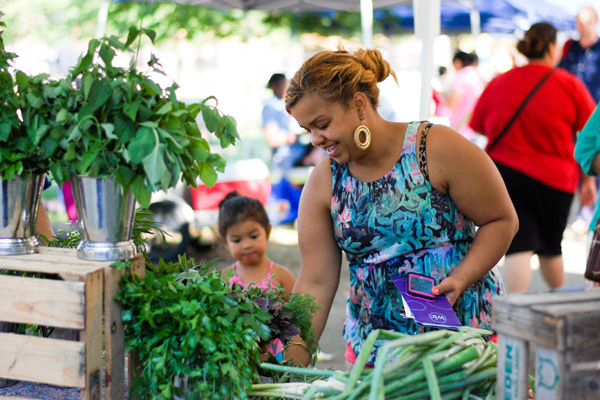 We help shoppers use SNAP/EBT, WIC, and Senior Farmers Market Nutrition checks at farmers markets. Spend WIC and senior checks directly with vendors. Bring your EBT card to a welcome table to swipe for any amount in exchange for Fresh Bucks tokens to spend with vendors. You'll automatically get matching Bonus Bucks! We believe that everyone should be able to take part in the bounty grown in our region. Farm Fresh RI is able to offer the Bonus Bucks program thanks to financial support from many funders, including federal grants and private fundraising efforts. 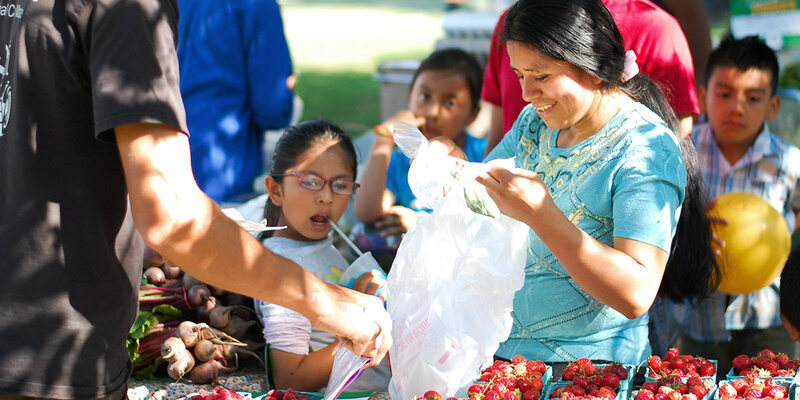 Every donation helps provide more fresh, nutritious fruits and vegetables to families in need. 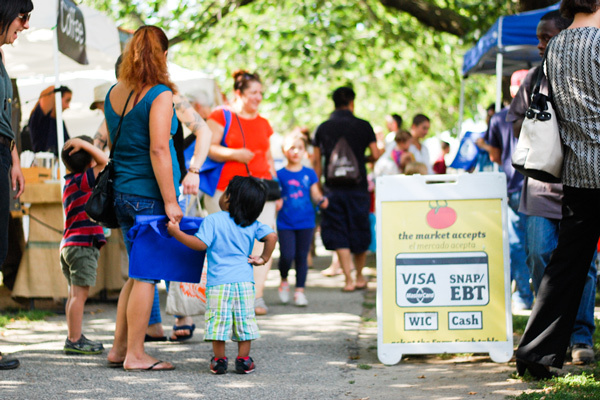 Ready to shop at a Rhode Island farmers market with your EBT card? Over half of all farmers markets in our state provide a Bonus Bucks match! See and search all farmers markets accepting SNAP/EBT in Rhode Island.